The year 2013 has only seen the end of its second quarter, but the world is already talking about the new look of Toyota Corolla 2014. The upcoming vehicle is the most revolutionary model of Toyota Corolla which the world has ever seen. From the external shape to the interior, everything has been redesigned. 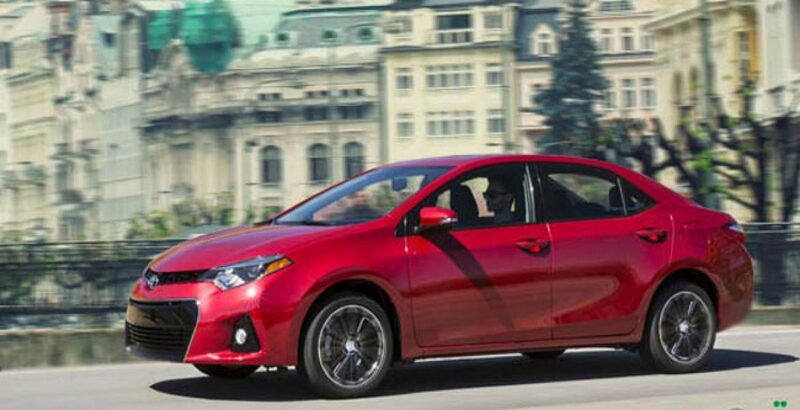 This is the 11th generation of Toyota Corolla automobiles in the world. The new design is more dynamic and stylish than the preceding ones. Corolla has always been a practical car, but in 2014, it will also be more stylish with its new magnificent exterior. Instead of Corolla’s conventional design which the world has been seeing for generations, the new look will be rather sportier. Starting from the front, there are slimmer headlights with LED beams. Plastic has been replaced with glass owing to the comparatively cooler temperature of LED. So, the 2014 model has a front which looks lighter and sleeker. The same old boring design has been replaced by this new, slightly sporty look. Toyota Furia Concept revealed a compact car for 2014. Despite being compact, the new Corolla is more spacious than its predecessors. It is a little longer as well as wider than the preceding generations. The wheelbase is approximately 3.93 inches longer. The car has a gracefully designed interior, lavished with comfort of the users, making it a perfect ride for long drives with the folks. It has a 40L fuel tank, which is big enough to take your family long distances. It has an overall length of 3845mm, a 170mm ground clearance, 4 cylinders, bore x stroke of 72.0 x 61.0 mm, sun visor on both sides, colored bumpers and blue tinted head lamps, creating a modest blend of quality and necessary features. It has been gifted with the new G10B EFi engine, and its transmission is 5-speed all synchromesh. All these features make it flexible, extremely cost efficient and also highly enjoyable; also making it the car that everyone in the family will love. This car is the perfect example of how you do not have to spend out of your range to avail good features in a car; at an affordable price, it offers you so much more. The Suzuki Cultus VXRi 2013 price in Pakistan places this car right in the middle of low cost 4-wheelers like Suzuki Mehran and luxury cars like Toyota Corolla. It is a perfectly designed vehicle with all the features of this small fit wonder car for a happy family. The fact still stands strong that this car is affordable and flexible for all families. The Suzuki Cultus has received positive views and reviews from people and is a successful car without any flaws. This is the one addition your perfectly small family needs.